With over 8,000 hours of teaching in 5 countries since 2001, Melissa Billington has supported hundreds of people in re-connecting to their inherent powers through an exploration of the chakras and an alignment with the seasonal energies. 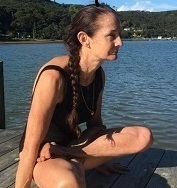 She completed the 3 year Auckland Yoga Academy apprenticeship in 1993, became a Yoga Alliance Registered Teacher in 2006. From this environment she brings over 10 years of teacher training experience to the workshops and courses she facilitates; in particular, her skills in course development, communication and facilitation, as well as knowledge of educational and developmental psychology. Exceedingly skilled master yoga teacher/mentor, yoga therapist, yoga teacher trainer and clinician. 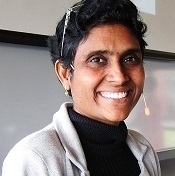 She runs a busy clinical practice with an emphasis on Yoga therapy, Ayurveda and Eastern naturopathy. She worked for many years as assistant head of faculty and senior tutor at Wellpark College of Natural Therapies. Yoga is a practice of making conscious what is normally unconscious, of forging a living dynamic relationship with your body, breath, mind, and heart. She is an ERYT-500, Certified Yoga Therapist (C-IAYT), Yoga Teacher Trainer and a Yoga Alliance Continuing Education Provider. Katie has offered yoga workshops, immersions and teacher trainings at studios across New Zealand and overseas. E-RYT500 Yoga Teacher & Yoga Medicine Teacher Trainer, interest in health and wellness led me to complete a 500-hour teacher training with Tiffany Cruikshank and Yoga Medicine (focusing on yoga therapy for hips, spine and shoulders) and I am now proud to be part of the Yoga Medicine teaching team.